1. When I get hungry, it ain't pretty (hangry*). I get so irritable/feel like I'm going to die, that I don't even like to be around myself during this time. Enter: healthy snacks. This granola saves my life almost on a daily basis on my commute home. 2. It's nice to have something crunchy. Something with texture, that actually feels like you're eating something substantial . 3. Like I hinted before, it's super versatile. 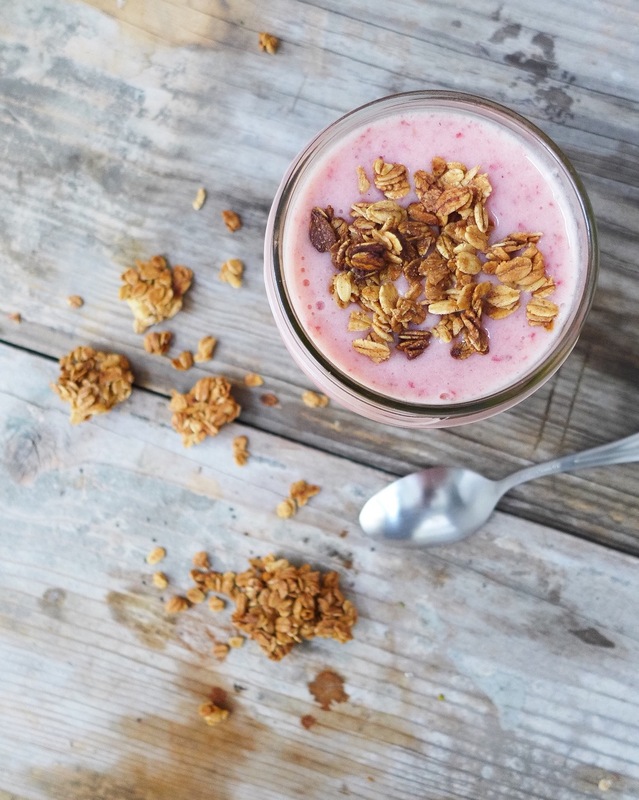 Pour almond milk over a bowl of this granola for a hearty breakfast. Keep a jar of it in your car for snacking/surprise traffic jams. And use it as a topper on your smoothies and parfaits for a nice crunchy addition. By the way, did I mention that your home will be the dreamiest smelling home on the block? Think bakery x pretzel shop. Yes. It smells that delicious. 1. Preheat oven 325 degrees F. Line a large baking sheet with parchment paper. Set aside. 2. In a large bowl, combine all ingredients. Stir the mixture until well combined and even.3. Spread the oatmeal into an even layer on the baking sheet. Gently press the mixture with your hands to make it stir together. 4. Bake for 30-35 minutes. Let sit until completely cool. Will last for a few weeks when stored in a sealed container.